"His bluesiness and huge sense of swing defy you to sit still." 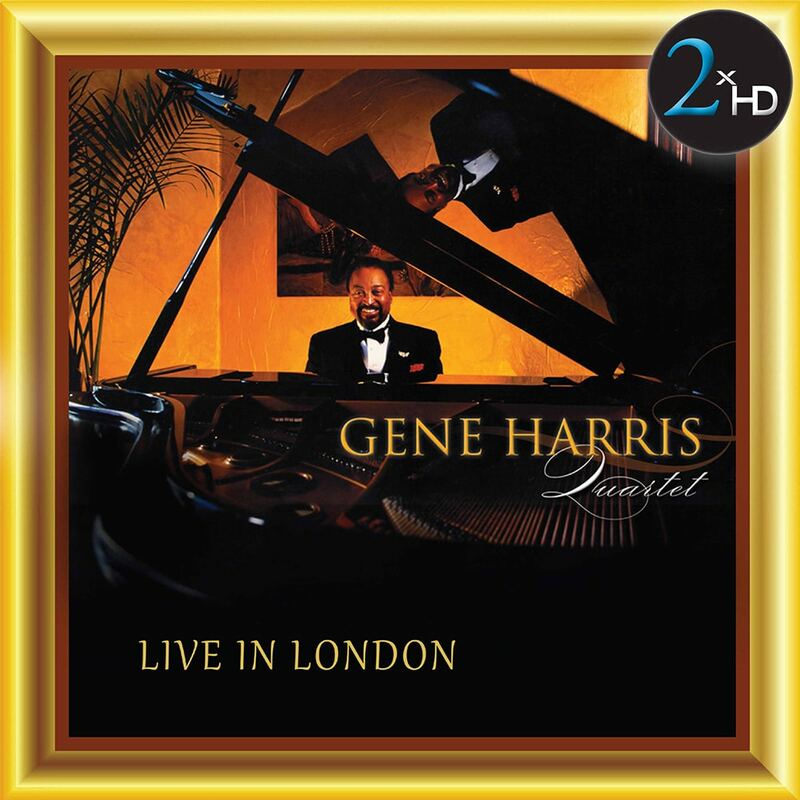 The sounds of legendary pianist Gene Harris and his British quartet are released for the very first time with Live in London. Drawn from recordings in the Harris archive that were made in 1966, these are true blues-soul-jazz gems which reveal Harris at his best in standards such as My Funny Valentine and Blue Monk. 2xHD is a record label which uses its proprietary system to process music masters originally recorded in analog or DSD or other format, to DSD in order to produce a unique listening experience. The process uses a selection from a pool of high-end audiophile omponents and connetors. In some cases even using battery power, so as to benefit from the cleanest power source possible. This variable equipment combination custom tailored to each project, creates the most accurate reproduction of the original recording, unveiling informaton previously masked by the use of EQ, transformers, patch bays, extended cable length etc. The selection of components is critical, as many A/D and D/A converters are unable to pierce through these filters that create a eiling effect to the sound. The 2xHD system preserves the dynamics of the original master and proves an open feeling to the sound.